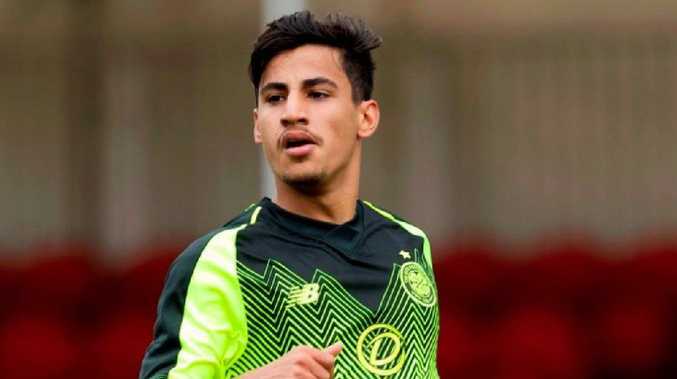 Daniel Arzani has made his first appearance in a Celtic shirt. SOCCEROOS teen sensation Daniel Arzani has made his first appearance in a Celtic shirt, turning out for the club's reserve side. The Aussie played 62 minutes as the young Bhoys went down 3-0 to Hamilton Academical, on Monday night (AEST). It was Arzani's first competitive match since joining the Scottish side on loan from Manchester City - who he signed for permanently from Melbourne City just weeks earlier following an impressive showing at the World Cup. According to the Scottish Sun, the 19-year-old "showed glimpses of his quality" as he twice went close to scoring. Manager Brendan Rodgers had stated that Arzani was lacking fitness, so the minutes shape as an important step on his road to first team action. "He's settling in very well," Rodgers said last week. "He's a really good boy and hungry to do well. He's obviously a bit behind in terms of fitness, naturally, because he's only just joined and hasn't had the chance to play since the World Cup."